Starting today around two or three times a month I will post an excerpt from the Jura Wine Book, often with a small addendum. I will include illustrations too that are either used in the book, or from the photo shoot that I did with Mick Rock of Cephas. All images are fully copyrighted of course, as is the text. If you have not yet bought the book, I hope this might encourage you to do so – you can find stockists and comments about the book on the new Jura Wine book page. He might be running between commitments, but Jean-Michel always offers a twinkly smile together with a straight answer to any question. More than anyone in Pupillin, Jean-Michel has been as much involved in the ‘mother appellation’ Arbois as he has in his own village. AOC Arbois syndicate president for many years, I’ve seen him carrying the Biou in Arbois; he was president of the Percée festival in Arbois in 2011; and he always turns up to greet the media with a regional hat firmly on his head. Somehow, between supporting his village, region and even the young and up-and-coming producers in the appellation, he finds time to produce a consistently lively and eminently drinkable range of wines. Jean-Michel’s stated aim in his brochure is to ‘make music from the mosaic of soils below our feet’, but the imprint on his labels is of a hand – his own, representing the importance of hand-harvesting, lending a hand and much more. Quite rightly, the vineyards are the focus for Jean-Michel. Growing up in Pupillin (distantly related to the other Petit family in the village) with parents and grandparents who farmed vines and took their grapes to the cooperative, he returned after five years of wine studies and work experience around the world of wine to create his own estate with his wife Laurence. He took over his family’s 2ha of vines and accumulated other vineyards little by little, in various parcels on the different terroirs within Pupillin. He has always believed in working the soil and using only organic fertilizer and, after years working in lutte raisonnée, he made the move to start organic certification in 2012, although he had been using biodynamic preparations 500 and 501 on some of his plots for a couple of years. The small winery lies on both sides of one of Pupillin’s side roads with an amusing and distinctive colourful mural showing several generations of the family adorning one side. Jean-Michel’s winemaking has always been thoughtful – vinifying the grapes from each plot apart, fermentation using indigenous yeast, and little use of other standard winery interventions. Apart from for Ploussard, he is not likely to go down the no sulphur route, yet he told me that, as with most producers, today he uses around a third of the amount of SO2 than when he started making wine 20 years ago. All styles of whites and reds are matured in wood of varying sizes. Reds, including Ploussard, are aged in large foudres – his is the example from this village that I have always found to be one of the most accessible. Yet it is his clear-cut topped-up whites that really sing, starting with the tangy and lemony Savagnin ouillé Les Terrasses, which comes from a steep south-facing terraced plot. From the mid-2000s Jean-Michel has made two Chardonnay cuvées that show the Jura terroir character well – Jurassique is from plots with more limestone and the more profound Les Vianderies is from older vines in a gravelly vineyard with marl below – the latter is aged in both 500-litre and 228-litre barrels. In his quiet way Jean-Michel has experimented with his range without extending it dramatically as some wineries do, keeping to a modest (for the Jura) 14 different wines. A late-harvest white blend of two-thirds Chardonnay and one-third Savagnin was once called Vendange Oublié (‘Forgotten Harvest’ – as it literally was the first time it was made) and has morphed into Les Oubliées, as the labelling fraud squad did not like the original name. The wine is made only in good years and, though usually dry, can be rather over-rich for my taste, but with plenty of intensity of flavour. The usual range of specialities from Crémant through to Vin Jaune, Paille and Macvin are made but account for only a quarter of production, including the Pétillant Naturel called Le Pet de Léo. This was first made by son Léo at 14 years old from a Ploussard vineyard planted in 1993, the year of his birth. Léo has studied wine production at Mâcon and is continuing his education in marketing at Suze-la-Rousse, so this estate should be in safe hands in the future. Domaine de la Renardière exports account for about a third of sales, but it is the combination of a well-deserved string of medals in French wine competitions and mentions in guides, with a very open and educational approach to welcoming customers at the estate, that keeps his regular French customers returning. For several years each Saturday in June Jean-Michel and Laurence have conducted vineyard tours, followed by a tasting and lunch, an innovative approach for the Jura and something that has helped build up their loyal following. I sincerely hope that they throw a big party to celebrate the quarter-century of their domaine, which is a huge credit to the Arbois-Pupillin appellation, a valeur sûre or safe bet, as they say in France. Jean-Michel has been promising to publish his own website for some time! The wines are imported into the UK by Enotria UK and at their trade tasting in February 2014 Brett Jones recorded a short interview with Jean-Michel Petit. Some of the range is available from The Wine Society. In New York Domaine de la Renardière wines are sold in the Wine Library and at Zachys, among other places. Please feel free to add other stockists in the comments. I’ve long had a soft spot for the Labet family of Rotalier in the area south of Lons-le-Saunier, known as the Sud Revermont. Not only for them, but for their superbly crafted Chardonnays, tangy Savagnin Ouillé, classic Vins Jaunes and interesting Vin de Pailles. Since my first visit more than ten years ago, eldest son Julien has been on the scene, but now he and his siblings call the shots. “Nous sommes en pleine effervescence!” Julien told me excitedly on the phone when I made the appointment to visit in January. I could understand the sense of fizzing (their Crémants can be excellent too), but my dictionary gives the correct translation of “We are buzzing”. The big change is that Alain and Josie Labet have officially retired at the end of last year, handing the reins over to Julien, his sister Charline (a trained oenologist, as is Julien) and brother Romain (whose focus is the vineyards). A new Domaine Labet is born. Succession is rarely easy (more on some of the issues faced by other Jura estates soon), but there never seemed any doubt that the three children of Alain and Josie would follow these thoughtful vignerons into the family business. Yet with Alain and Julien there were always two alpha males at play, locking horns over the family lunch or in the cellar. This, despite the fact that in their different approaches both men share an utter dedication and passion for preserving the ecology of the vineyards and making wines that both uphold Jura traditions, but can appeal to a market beyond the region. Julien is excited and keen to move on together with his sister and brother. When I first met Alain Labet and visited his vineyards in and around the village of Rotalier, he explained that in the 1970s he had farmed the vineyards completely organically, along with Pierre Overnoy he was a pioneer at that time but, just as with Jean Macle of Château-Chalon, the work and risks became too much – he didn’t want to lose a crop. However, just like Jean, Alain worked the minimum possible with chemicals, and was very respectful of the local environment. Julien explained on this visit that his father would use herbicide under the vines because “he didn’t want to spend all his time on a tractor”. Many of the vineyards are on the typical local marl (a clay-limestone mix), that can be very heavy to work, but is prized vineyard terroir here. 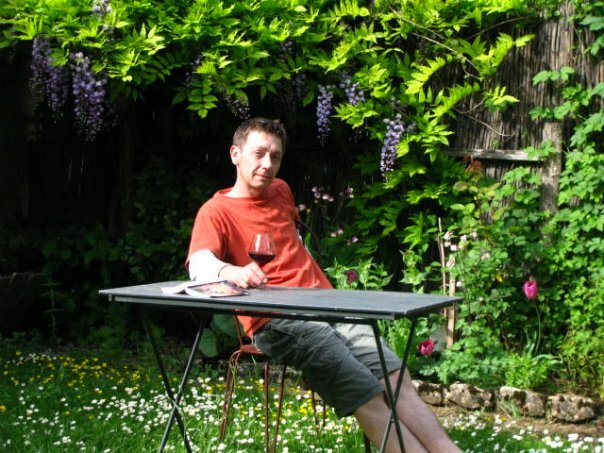 When Julien took on three hectares of vines for his own personal estate in 2003 he gradually converted them to organics, later applying for certification which he received from Ecocert in 2010. 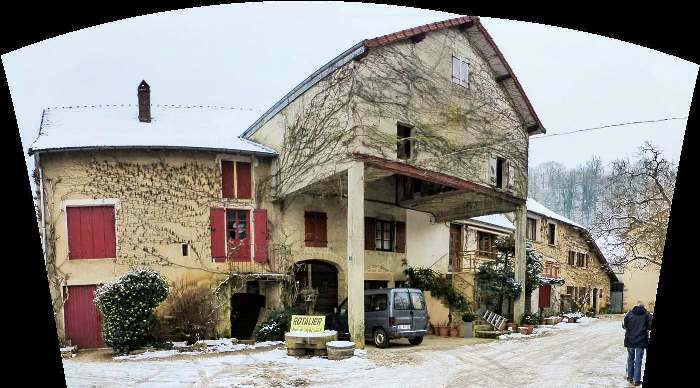 These three hectares are now incorporated into the new Domaine Labet, and the siblings have embarked on an organic certification programme for the whole domaine, the main work to be done is to replace the use of herbicide with a mechanical weeding method. The estate has quite a large proportion of old vines of 50 plus years, and for the very old vines that are planted at high densities they intend to use a horse to work them. The family has recently purchased another plot of nearly a hectare bringing the total to nearly 13 hectares, reds form just a small part, around two hectares. Julien Labet took over the winemaking in 1997, initially working side by side with his father, he had previously worked both in Burgundy and in South Africa and was keen to introduce new or fairly new barrels for fermentation and ageing of the Chardonnays in particular, at the time something quite radical in the Jura. He explained to me that at this time the wines were usually a natural 13% alcohol and that the barrel element helped fill out the middle palate giving ‘gras’ as the French call it, meaning ‘fatness’ or richness. With climate warming they now regularly achieve 14-14.5% alcohol and Julien finds that he does not want so much new oak element now, and plans to move gradually to bigger oak, demi-muids (300 – 600l) and large foudres (15 hectolitres). The latter help maintain freshness and what Julien termed in French ‘tension’. 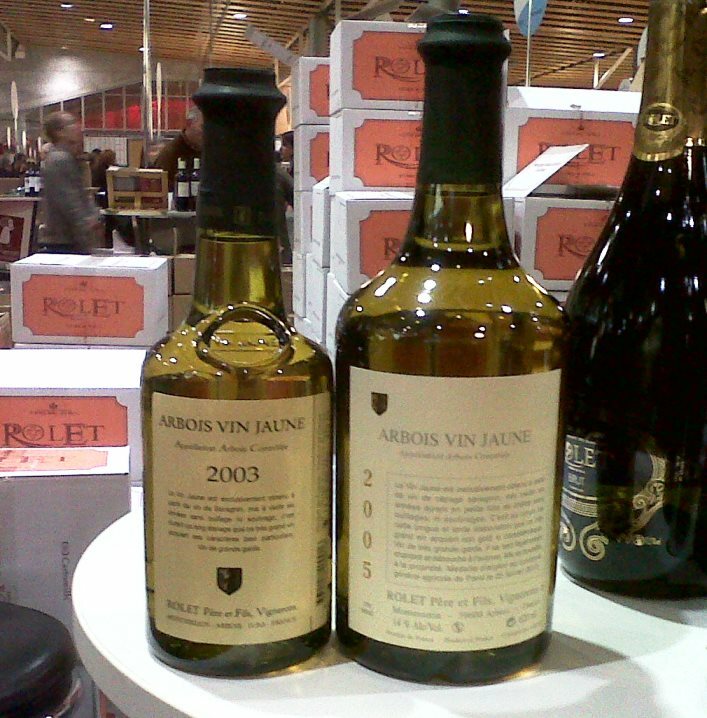 One of the differences between the two ranges of wines that that the family has produced over the past few vintages – the Domaine Labet range, overseen by Alain, and Domaine Julien Labet or Les Vins de Julien – were that the latter were often sulphur free with Julien attending certain natural wine fairs to promote his wines. In the future sibling-run Domaine Labet, there will be two ranges – a classic one retaining for now the existing label in particular for regular, long-term customers, and a ‘natural’ range, no doubt with interesting labels as Julien himself has used – zero sulphur if possible. I found Julien’s attitude to the use of sulphur dioxide in winemaking refreshingly frank and sensible. And, although Charline wasn’t there on my visit, I tasted with her at last year’s “Le Nez dans Le Vert” organic wine fair, and the two work comfortably side-by-side with the same approach. Pre-bottling the domaine wines will have a small dose of SO2 added routinely, a safety measure for their customers’ sake. However, the domaine’s future ‘natural’ range will have no SO2 unless as happens with some wines it is necessary to prevent oxidation. They use natural yeasts for all the wines, and they are no longer pumped, instead they use gravity and a mixture of compressed carbon dioxide with nitrogen to protect the wine in the hoses. In my experience of tasting with Julien, he loves the reductive approach, something that is almost essential for no or lower sulphur wine production, even if it can cause some notes in the wines that not everyone enjoys. In all, with the estate wines and Julien’s own wines in the past few years there have been about 30 different labels made from the 12 hectares, and there are no plans to reduce this range. It was Alain who pioneered making ouillé or topped up, rather than oxidative or traditional (in the Jura sense) Chardonnay in 1992, with what is today one of their biggest volume wines, Fleur de Chardonnay, at the time in foudres. The other big volume wine is the simple Chardonnay Cuvée Fleurs from a blend of five parcels with vines of different ages. The 2011 was tasting delicious with lovely floral and mineral characteristics along with apples on the palate. As often on previous tastings, my favourite Chardonnays were from the plot named Les Varrons planted with 65+ year old massal selection vines. I enjoyed both Julien’s no sulphur version from 2010, from very late picked grapes giving an almost sweet yellow fruit character (high in alcohol at over 14.5%), but with fresh acidity and spice to balance, and the domaine version from the same year, which was a touch more balanced with a mineral, stony character. We also tasted the domaine 2008 Les Varrons showing greater complexity and very exotic. Julien’s Fleur de Savagnin 2010 mainly from the well-known En Chalasse plot, was fabulous with a smoky lemon character on the nose leading to a ripe but tangy taste, almost like eating a fresh Meyer lemon (a taste I acquired on a visit to California). The grapes had 5 – 10% botrytis that would have accounted for that extra richness. Our tasting of oxidative wines included Chardonnay Cuvée du Hasard (meaning ‘chance cuvée’). It has taken me many years to appreciate oxidative Chardonnay in particular, but I loved the 2008 Hasard from 60+ year old vines. A blend from different barrels, it is aged under a veil of yeast (as in Vin Jaune) for around three years. The result is an amazing intense aroma of cooked fruit and nuts with an equally intense palate, balanced by spices. The 2005 Vin Jaune was good and the Labets consider their Jaunes ready to drink when bottled, this is achieved with ageing mainly in warm conditions on a higher level of the cellar. Onto sweet wines and we tasted a lovely 2010 late-harvest Savagnin Grains Fauves from grapes that were on the turn towards noble rot. Just two barrels were made and it has a delicious balance of nearly 15% alcohol with 12 g/l of sugar giving a lovely honeyed nose and sweetish intensity. I also really enjoyed Julien’s La Paille Perdue 2007 though whether the local authorities allow Julien to continue naming it this is in question as they don’t like the fact that he uses the word ‘Paille’ in the name. This is a non-official Vin de Paille and ironically Julien is amongst the very few to dry the grapes on straw (‘paille’ in French), in fact on organic straw in wooden boxes for around six months in the attic. Not officially approved because it is only 11.9% alcohol instead of the minimum 14% and correspondingly sweeter than usual with 169g of sugar. Usually their Vin de Paille (whether official or not) has around 70-75% Chardonnay, 20-25% Savagnin and a touch of Poulsard. However, in 2007 the mix was 55% Savagnin and 40% Chardonnay. A fabulously unctuous wine with honeyed spices. We did not taste the Crémants or reds in a formal manner on this visit, but with a quickly put together lunch from the ever-hospitable Labets I really enjoyed a 100% Chardonnay Crémant made Extra Brut, and a pleasant, juicy no-SO2 Trousseau 2011, though so light that I mistook it for a Poulsard (whoops, but it was after a big tasting of whites!) – Julien pointed out that it was rounder and smoother than Poulsard. A few weeks later over the Percée weekend Julien’s superb Pinot Noir Les Varrons 2009 was a highlight for me, tasted in the press office. My admiration for this estate only continues with the new generation taking over. My thanks to Alain and Josie for both the domaine and the new generation you nurtured so well. Tasting a complete range of Jura wines from a producer is always a challenge as there are so many styles, and if you taste from several producers at one event the tasting order dilemma is even greater. 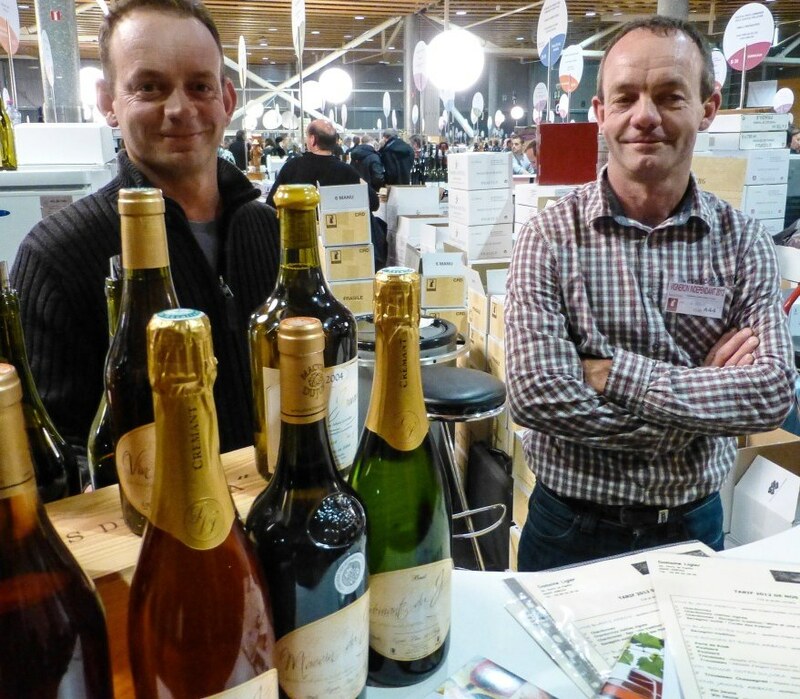 Last November at the Lille fair of the Vignerons Indépendants, I decided to taste the Crémants and reds first, return to each stand for the non-oxidative whites, finish with the oxidative whites and Vin Jaune, and finally the Vins de Paille. With my eye partly on the clock and partly on my personal tasting limit, I stopped at seven producers, four in Arbois, written about in Part 1 and three from Côtes du Jura. I never managed to taste all the range from all seven, however, I was able to ask a few useful questions and was satisfied with the overall impression I managed to get from seven producers in a day. I have never visited Domaine Jean-Luc Mouillard in the village of Mantry, which lies about half way between Poligny and Lons-le-Saunier. Founded in 1991 they farm eight hectares including 2ha of reds and just under 2ha of Savagnin, including a little in Château-Chalon, leaving around 3ha for Chardonnay. The Crémants (a 100% Chardonnay white and a 100% Pinot Noir rosé) were pleasant enough, the blended red less so, though a Pinot Noir 2011 was fair. Better news when I tasted the whites. The Côtes du Jura Chardonnay 2010 that had been fermented and aged for 18 months in old oak, rigorously topped up was stony, mineral and long. The oxidative whites had excellent intensity including a l’Etoile 60/40 Chardonnay/Savagnin and a Côtes du Jura Savagnin 2008, a real baby Vin Jaune. Jean-Luc makes only Château-Chalon, no Côtes du Jura Vin Jaune, and the 2004 had a touch of peat on the nose and rich cooked fruit on the balanced palate. All in all, an interesting, traditional producer. I have always maintained a soft spot for Domaine Baud in Le Vernois as this was my very first producer visit in the Jura, on a cold January day, I think in 1999. Alain Baud, then president of the Côtes du Jura appellation, painstakingly explained all about the various Jura wine styles and appellations, whilst taking me through his estate wines. 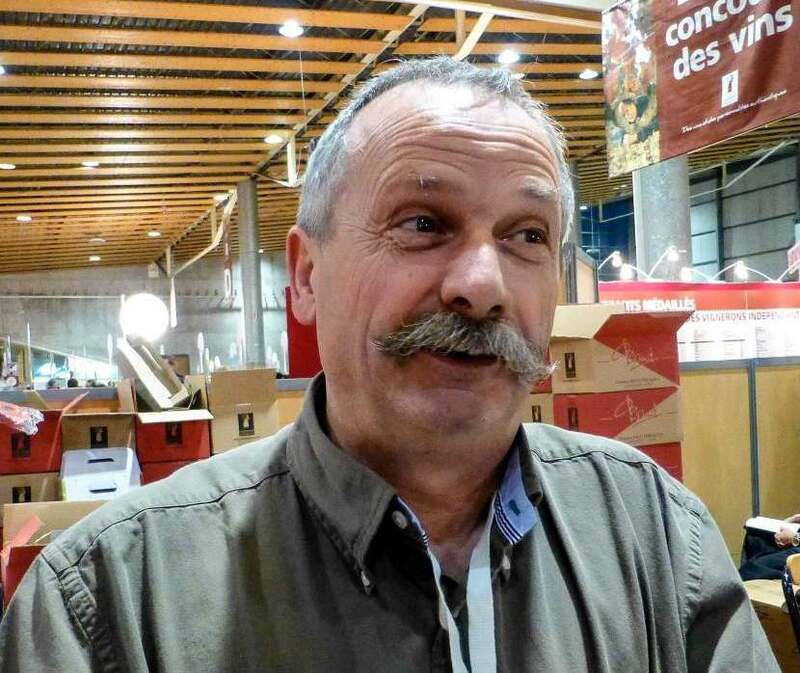 He subsequently became head of the Jura INAO (Institut National des Appellations d’Origine), and every year patiently answered my difficult questions whilst I was writing my annual update chapter for Wine Report. Today, Alain is in charge of the cellars and the sales, with his quieter brother Jean-Michel in charge of the 20.5ha of vineyards. I know their wines well, and have always enjoyed certain of their traditional styles. This time I was particularly taken with their Crémants, especially the Brut Sauvage from 30% Pinot Noir and 70% Chardonnay, using more of the free-run juice for the base wine, three years ageing sur latte (on the 2nd fermentation yeast pre-disgorgement) and low dosage. It was dry, lively with a touch of spice from the lees, extremely long too. As ever I enjoyed their red blend Ancestrale 2009 from 70% Trousseau with 30% Pinot Noir and in the whites the Chardonnay Vieilles Vignes 2007 from vines that are almost 50 years old showed great minerality. Finally, comparing a Côtes du Jura Vin Jaune 2004 with a Château-Chalon 2003, two very different vintages and terroirs, was instructive – the former was a pleasant, lighter-style Jaune and the latter had a fabulously curried nose and was intense, though not surprisingly for the hot year showing less acidity than normal, but certainly enough to age for a few years. If you are ever in the area Domain Baud has a very welcoming tasting room. 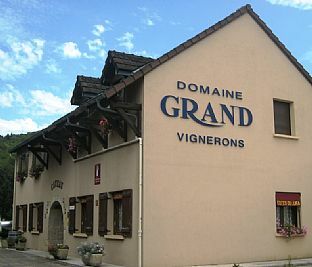 Domaine Grand are based in Passenans and are today run by brothers Emmanuel and Sébastien. They have long been known for the quality of their Crémant du Jura and as ever their 100% Chardonnay Brut Prestige with 18 months sur lattes tasted good. A big step up is their Vintage 2008 made only from the Chardonnay Cuvée or first pressing. With a classic yeasty flavour it remained fresh, delicate and long. The southern part of the Jura is not as well known for its reds as its whites, and so I was really impressed with the three reds – one from each of the Jura varieties – that I tasted with Domaine Grand: a very light, delicious Poulsard 2011 made only in tank, and then the more juicy Trousseau 2011 and well-structured Pinot 2010 both made with a few months ageing in barrels of 3 – 4 years old. There are big improvements in the quality of wines at this estate since I last tasted and this was confirmed in the whites, in particular with their tangy and lemony Expression Savagnin 2011. Other members of the Vignerons Indépendant Jura group based in the southern sector include Château d’Arlay, Château de l’Etoile, Domaine Berthet-Bondet, Domaine Geneletti, Domaine Jean-Claude Credoz, Domaine Pierre Richard, Domaine l’Aigle à Deux Têtes, Luc et Sylvie Boilley and Celliers des Chartreux (Domaine Pignier). 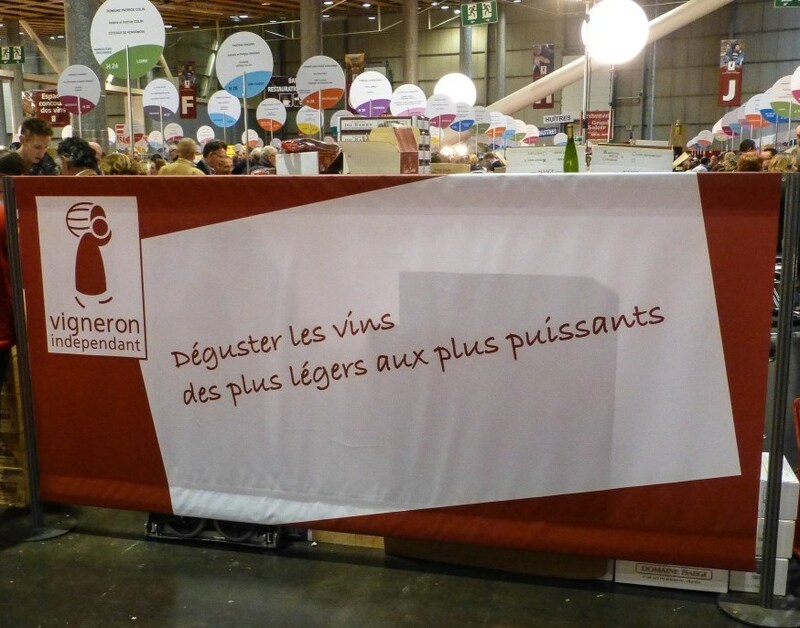 As well as in Lille the Vignerons Indépendants events are held once or twice a year in Nice, Rennes, Bordeaux, Strasbourg, Lyon and Paris. Details of which growers are exhibiting is always posted in advance on their website so you can plan your visit. 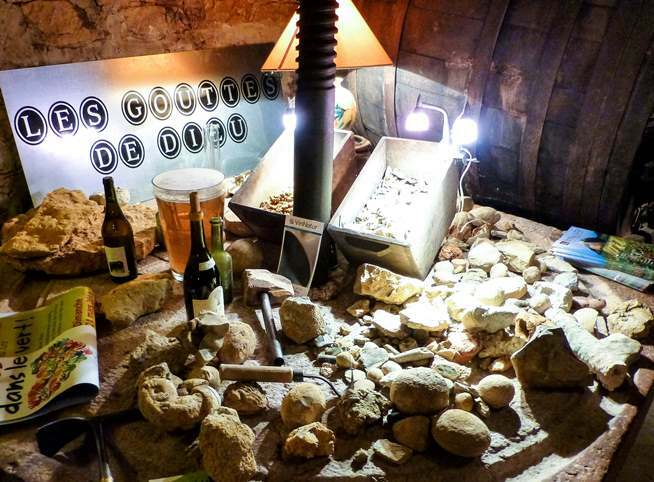 The Vignerons Indépendants group includes 24 producers from the Jura and half of these were presenting wines at their big tasting in Lille last November. This was a chance for me to catch up with producers that I haven’t visited or tasted with for a while. This independent winegrowers’ group in France comprises producers who grow and harvest their own grapes, and who make, bottle and sell their own wine, so no négociants or cooperatives. Apart from this, the criteria for joining the group is that these growers should respect local traditions, the terroir and the environment but there are no particular standards for how to do this. Most importantly to me, these indie growers agree to welcome visitors and should enjoy presenting their wines for tasting both at their cellars and at the regular fairs held around the big cities of France. Advice for tasting – taste wines starting with the lighter ones then the more powerful – I tried. It’s not easy tasting when you are jostled for space and time is short, but it was nevertheless a useful opportunity to gain an overall impression of the seven producers I managed to see. Here’s a run-down of the four Arbois producers. At the stand of Domaine Jean-Louis Tissot I was welcomed by Valérie, daughter of Jean-Louis (brother of André and Jacques – yes there are three Tissot domaines in Arbois!). Today she runs the 15-hectare estate just outside Arbois with her brother Jean-Christophe. The wines were solid rather than exciting, though I particularly enjoyed their delightful Trousseau 2009 and an earthy Crémant showed promise too. Domaine Ligier is an Arbois estate I discovered at the very first Vignerons Indépendant fair that I attended when trying to discover new Jura estates way back in 2002. Run by brothers Hervé and Stéphane, I had the chance to chat with Stéphane who is usually in the vineyards. He explained that they now have 9.5 hectares of vines though quite a high proportion of young vines due to their sensible policy of leaving a 2-3 year gap between grubbing up old vines and re-planting. These days he manages the vineyards using lutte raisonnée (where herbicides, fungicides and pesticides are kept to a minimum) with herbicide only used under-vine and he plans to buy a machine to avoid this in future. I’ve always enjoyed Ligier’s wines and I wasn’t disappointed this time, with a good standard across the whole range. My highlights here were their Chardonnays, especially the oak fermented Vieilles Vignes 2011 from vines of an average 70 years old and deliciously good value Crémants, both white and rosé. 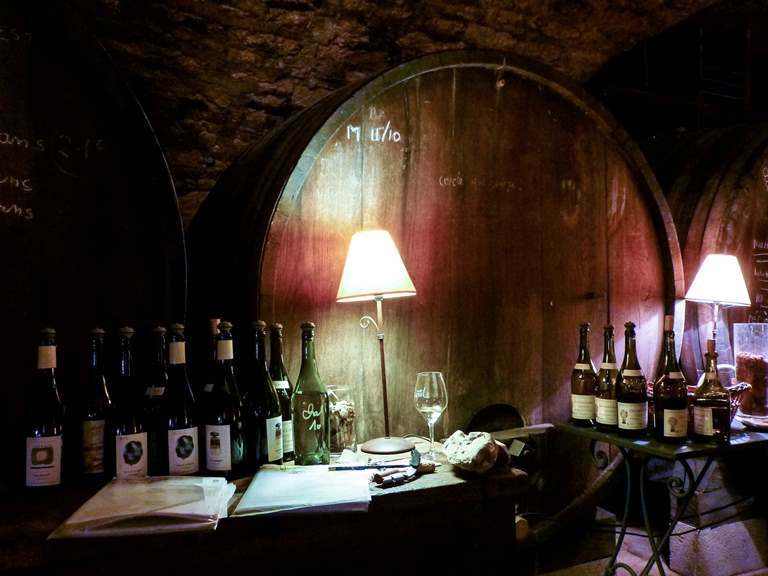 The largest family-run estate in the Jura Domaine Rolet has around 65 hectares in Arbois and in Côtes du Jura (and even in Etoile), and is currently – rather quietly – up for sale (anyone?) because the brothers Guy, Bernard and Pierre with their sister Eliane, who have run the estate for many years, have no successors interested in taking it on. I know their wines well and had time only to taste the reds and their Crémants with as ever the latter being the stars from this estate. The basic Rolet Brut with 70% Chardonnay and 30% Pinot and Poulsard has four years of ageing before disgorging (vintage is not labelled but this was the 2007) and it tasted very elegant; the top of the range classy Coeur de Chardonnay (€12 direct) was creamy and very long. Pierre Rolet was instrumental in getting the appellation Crémant du Jura approved back in the 1990s and I intend to interview him to find out more. We also had a chat about the ongoing issue of the clavelin-size bottle not being approved in the USA. He showed me a 37.5cl half bottle of Vin Jaune made in the clavelin shape, pictured left – a size not approved of within appellation rules but allowed to be sold in the US – Stéphane Tissot is another producer I know that uses this size for exports. Based in the village of Pupillin the 25-hectare Domaine Désiré Petit has seen some changes since I last tasted with them, notably with brother and sister Damien and Anne-Laure taking on the day-to-day management from their uncle Gérard who has been at the helm for some time. Damien has already introduced 600-litre demi-muids barrels into the oak programme. Vinified in these demi-muids, his Savagnin Ouillé named L’Essen’ciel 2011 had a lovely nose and showed promise, though other wines that I tasted lacked balance. I did enjoy the 2011 Pinot Noir aged in 4-year-old fûts (standard 228-litre barrels). Unfortunately I ran out of time and never returned to taste their Vin de Paille, a style at which they always excel. This is still an estate to watch, I think and I will make an effort to taste again with them soon. Other members of the Jura Vignerons Indépendants group in the Arbois appellation include the estates Jacques Tissot, Stéphane (A&M) Tissot, La Pinte, Martin-Faudot, Cybelline and Daniel Dugois. I will post some notes on the wines tasted from winegrowers in the Côtes du Jura next week.